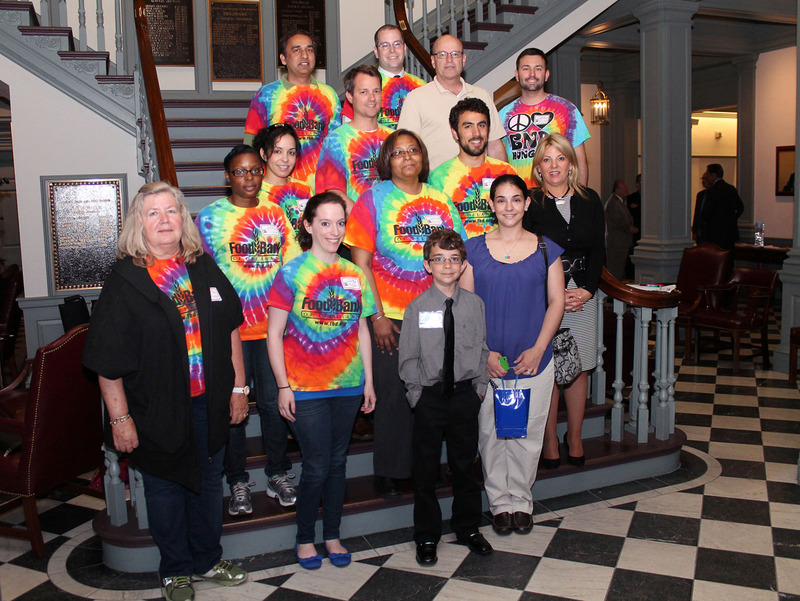 House Majority Leader Rep. Valerie Longhurst and lawmakers welcomed 9-year-old Braeden Mannering to Legislative Hall this week to commend him for his project to help Delaware's homeless and hungry, 3B: Brae’s Brown Bags. Working with the Food Bank of Delaware, Braeden and his fellow volunteers pack nutritious food, gloves or socks, and brochures for shelters into bags for distribution to folks in need. Braeden visited the White House last summer and met President Barack Obama and First Lady Michelle Obama, who encouraged him to do something to “pay forward” the good fortune he’s had in his life. View more photos from Braeden’s visit to Leg Hall on our Facebook page. Delaware’s second-in-the-nation law prohibiting smoking in most indoor public places would expand to include electronic cigarettes under legislation filed this week in the House of Representatives. Sponsored by Reps. Debra Heffernan, Mike Barbieri, Deborah Hudson and Majority Leader Valerie Longhurst, House Bill 309 would add electronic cigarettes, also known as e-cigarettes or digital cigarettes, to Delaware’s 2002 Clean Indoor Air Act, which effectively banned smoking in restaurants, bars and other indoor public places throughout the state. An e-cigarette is a battery-powered device that heats a cartridge of liquid, producing a mist that can be inhaled by the user. The water-based vapor may contain nicotine and other chemicals. Rep. Heffernan noted that while some tout e-cigarettes as safer than regular cigarettes and claim the vapor exhaled is simply water, the devices are not yet regulated by the U.S. Food and Drug Administration. According to a recent Reuters news report, dozens of complaints about e-cigarettes – from burns and nicotine toxicity to respiratory and cardiovascular problems – were filed with the FDA in the last year alone. Three states – North Dakota, Utah and New Jersey – currently ban smoking e-cigarettes indoors. View the full release on the bill here. Members of the Delta Sigma Theta Sorority visited Legislative Hall this week for their annual “Delta Day” in the building. 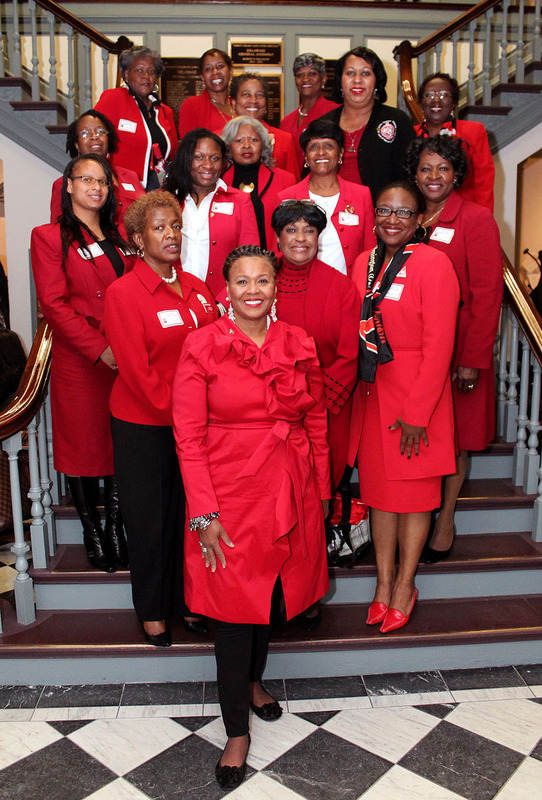 The 101-year-old sorority has six undergraduate and alumnae chapters in Delaware boasting 600-plus members, including Wilmington Rep. Stephanie T. Bolden, who sponsored a resolution in their honor. The state Senate passed legislation sponsored by Rep. J.J. Johnson Tuesday that would prevent most public agencies in Delaware from requiring job applicants to disclose criminal history information until after applicants have sat through a first interview. House Bill 167 does not impact private employers and does not eliminate an agency’s ability to look into an applicant’s criminal history – employers would retain every right to ask about an applicant’s criminal record, even perform a criminal background check, after the first interview. Rep. Johnson has said that House Bill 167 would help curb recidivism. Ten other states and dozens of local jurisdictions, including Wilmington and Philadelphia, have enacted similar policies. The bill now goes to Governor Jack Markell, who supports the measure, for his signature. This week, Rep. Debra Heffernan provides an update on what happened in Legislative Hall as we enter the final two months of the 147th General Assembly. House Bill 258 (B. Short) – Permits drivers to take advantage of new electronic ID card services being offered by major insurance companies. House Bill 268 (Paradee) – ensure that the Division of Motor Vehicles must have proof of a valid business license before registering a company vehicle. House Bill 304 (Potter) – Requires that financial disclosure reports from public officials be filed electronically. 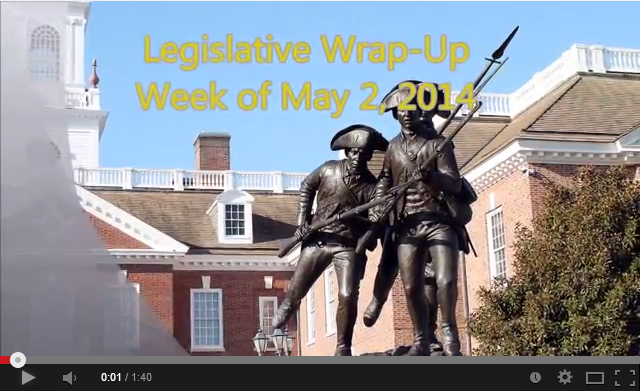 Senate Bill 177 (Henry, Keeley) – Increases penalties for criminals who attempt to intimidate witnesses.